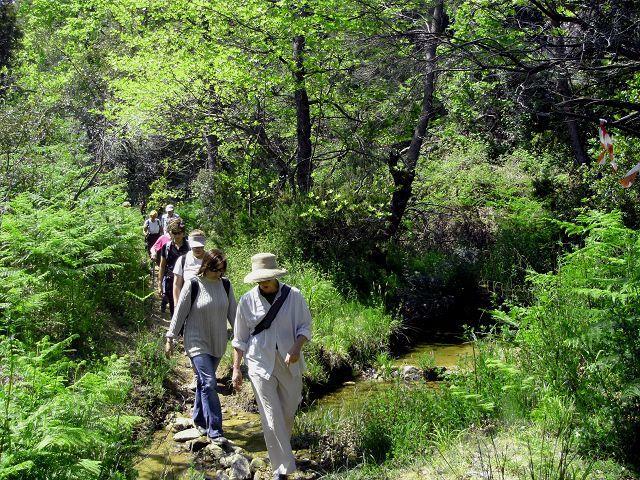 The Greek Society for Environment and Culture and the Municipality of Epidaurus shall implement hiking and cycling routes in the area of ​​the Municipality of Epidaurus. It is an area of ​​great cultural and tourist importance. Routes allow: A. To extend the tourist season in the region attracting mild, peripatetic tourism and B. To raise public awareness of the need to protect the natural environment of the region. Routes (7 hiking and cycling 1) connect areas of great cultural interest, are easy to moderate difficulty and total length 68,41chlm.